A spider on his nest. Waiting for poor insects passes by. Spider nest always looks impressive in black and white. An amazing creation by a little creature! Don't like spiders..But it is a great b&w shot! 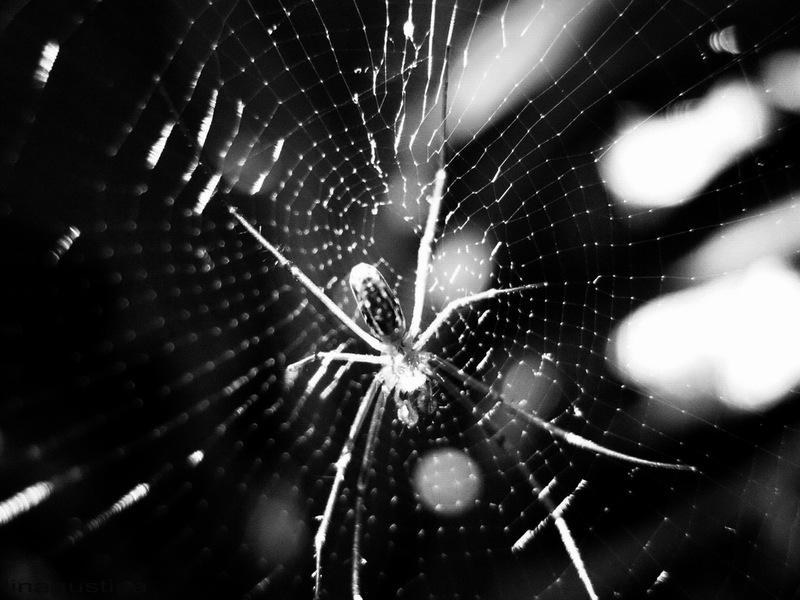 Interesting shot of the spider and web with the light spilling through. The web looks decorated for a party. Lovely shot. Spider is a deadly predator!